First, you have to do extensive keyword research to find the terms that will work the best for your campaign. Then, you need to spend money to learn which terms convert and which don’t. After that, you have to whittle your term list down, adjust your match types, and find new terms that will be profitable. It’s an extensive process that takes more time than most people realize. The good news is that it ends up being scalable for businesses that figure out how it works and how to make their campaigns profit. In this post, I’m going to discuss some advanced tactics you can use to improve campaign performance and boost profitability. 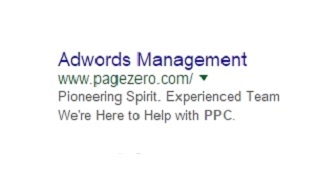 AdWords extensions provide the opportunity to add more information to your ad than the basic headline, URL, and ad copy you’re traditionally able to use. This extra information helps your ad to stand out and get clicked, which in turn will lower your cost per click and in many cases improve conversion rates. It’s pretty straightforward and uses the standard headline, URL, and copy information that most people are used to seeing. So how do you take your ads from the standard 5-line ad to one that has six lines and a phone number, like KlientBoost’s does? To add ad extensions to your ads, you need to log into AdWords and then click on “Ad Extensions” in the upper menu. But before we take a look at that, we need to answer the following question: Will adding these extensions really increase conversion rates? Let’s look at some data to find out. 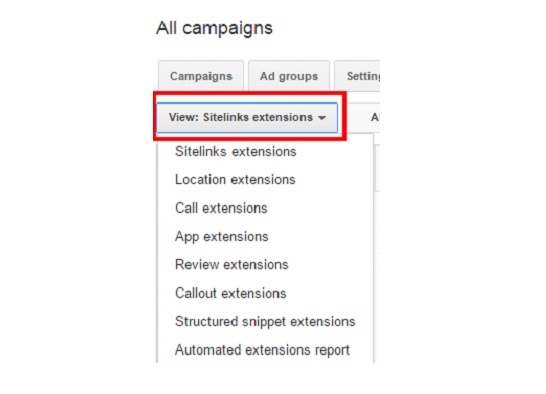 Sitelinks extensions allow you to show additional links to your site below the regular ad copy. Here’s an example of what that can look like with the site links inside the red box. You can also set them up, so they show up with a little more text like in the example below. However, even if you set up your site links to show up like the example above, they won’t always appear that way on Google because Google decides whether or not they’ll just show up as links and whether or not they’ll have the additional text below the links. Since that’s the case, it’s best to format them to show up both ways, so when possible they will show up with the additional text. At this point, you’ll need to click on the red “+Extensions” button, and then select which campaign you’d like to add the extension to. 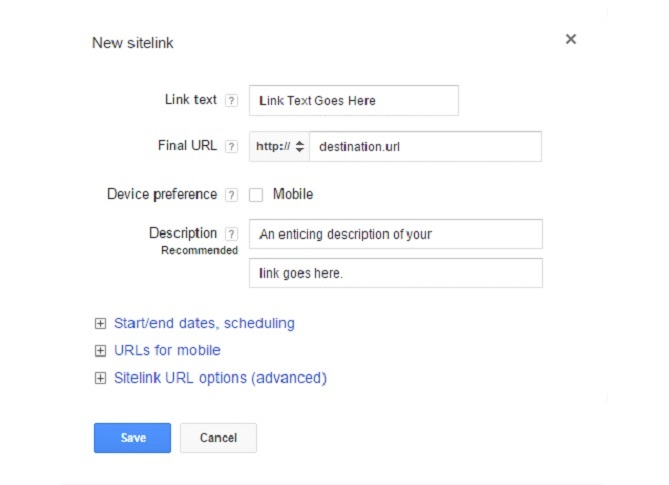 Next you’ll click “+New Sitelink” to begin adding site links to your campaign. After that, you’ll see a pop-up box like the one below where you’ll need to add the link text headline, the URL, and description copy if you’d like to add additional text. You can also select “mobile” as the device preference if you want the extension to just show up on mobile devices. Once you click “Save,” the site link will be saved and ready to go, but you’ll want to go in and adjust the settings for individual ad groups since you may want the site link to show up for some ad groups but not others. And that’s pretty much all there is to it. If you need ideas for which links to add and how to write the copy, do some Google searches in your space to get a feel for what people are doing, and then figure out how to add site links that will help your product or service to stand out. Location extensions improve local ads by allowing businesses to show their address, a phone number, and a map marker. They also include a direction link in mobile ads for searchers who’d like to get directions to the business. As you can see, this helps the ad to stand out, shows that the advertiser is a local business, and gives the searcher an idea about where the business is located in case they’d like to visit in person. With the AdWords call extension, you can add your phone number to Google ads. This makes it easier for searchers to call your business, especially on mobile devices. It also adds another element that helps your ad to stand out and hopefully gets it clicked. Google, for example, claims that phone numbers increase click through rates as much as 6% to 8%. Phone numbers in Google ads may not make sense for every business such as SaaS types of businesses, but if your business can benefit from phone calls, then you definitely want to use call extensions so you can get more calls. Review extensions are a really exciting and allow you to use third-party reviews in your ads. In order to use review extensions, you need to find reviews on reputable third-party sites like TrustRadius, TrustPilot, Forbes, Entrepreneur, etc. The main point is that it has to come from a third-party site that’s well-known enough to get approved by Google. It also can’t come from your own site since there’s no easy way to verify the validity of those claims. Since there are quite a few rules to follow for review extensions, you may want to read Google’s review extension guide to figure out what you need to do to add reviews to your site. Callout extensions are another exciting extension that allows you to add more text to your ad. With callout extensions, you can add short blurbs of text that help your ad to stand out. These blurbs show up underneath your ad copy as seen below. Any short phrase that describes something special about your service can be added as a callout extension in order to help your ad stand out. 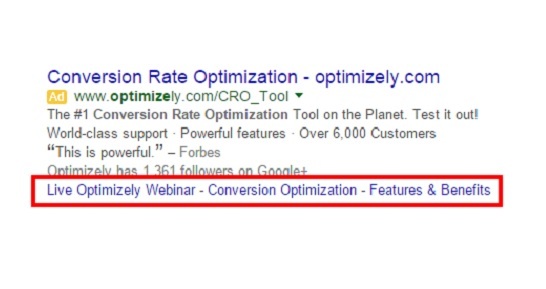 Are You Ready to Get Better PPC Results? All of the extensions discussed in this post are free to use and can help your ad stand out, get clicked, and drive orders. It takes a little bit of time to figure out how to maximize each of them, but they provide a great opportunity for most PPC campaigns to gain incremental improvement. If you have any questions about how to use these extensions, be sure to leave a question in the comments below. You can also do a Google search for each extension to find Google’s official tutorial on how to use them. Here’s to better PPC results and more conversions!